Let’s imagine a hypothetical situation. You’re an account manager at a leading advertising agency that works with clients all the way from local businesses to international mega clients. Three months ago, you closed your prized Important International Client – a leading manufacturer of anvils. You’re not one to brag about the size of deals, oh no. But you let slide at the water cooler that once your bonus check hits, your partner will be finding a new black BMW M3 outside. You’re glowing with success – not only because of the financial profit this deal will bring to your company, but also because you’ve been an avid anvil collector all your life. Something about them reminds you of the medieval fiction books you enjoy reading so much. You have 12 vintage anvils in your basement and you’re bidding for 3 more on Ebay. Thanks to your efforts, the Important International Client entrusted your agency with handling their online and offline marketing campaigns. Now their eCommerce store is booming – and everyone and their father is buying anvils. Finally, the day you’ve been waiting for has come. It’s time for you to present your agency’s marvelous results to the Important International Client. Get our short summary of how dashboards can make your life easier! 1. The data your analytics team provided you with is all wrong – it’s about a way smaller, less important client (the Petty Paper Clip Manufacturer). 2. Just because Murphy was right doesn’t mean that you have to like the guy. 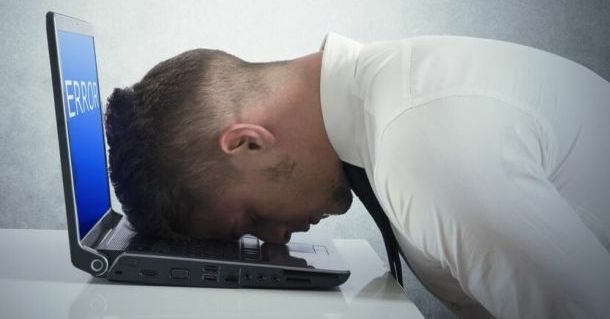 Since PowerPoint doesn’t allow you to quickly adjust your presentation to another data source, you have literally nothing to show to the client. While you can always present them the data showing their results later, their time is quite valuable – and appearances matter. You’re about to look like a fool in front of the most important client of your career. The funny thing about this situation is that it could happen to any of us. However, this hypothetical situation doesn’t have to be a reality. Now, let’s reimagine our anvil advertising scenario with professional business dashboards in the place of a PowerPoint powered by spreadsheets. Maybe you still had a PowerPoint made up that was super pretty and helped your presentation to flow more smoothly. And you discovered that the PowerPoint was based off the wrong data, just like before. In our new scenario, instead of panicking, you would invite your client to log in as a viewer to access your online corporate dashboard. The client could then see all of the data that they’re interested in, at any level from the big picture to the nitty gritty details. They say that all stories have a lesson in them, so here’s your lesson for today: when you use dashboards instead of spreadsheets to present data to your team and to clients, your real life can be easy peasy and stress-free (at least when it comes to data presentation). Take advantage of all the innovative dashboard features of modern business intelligence software. 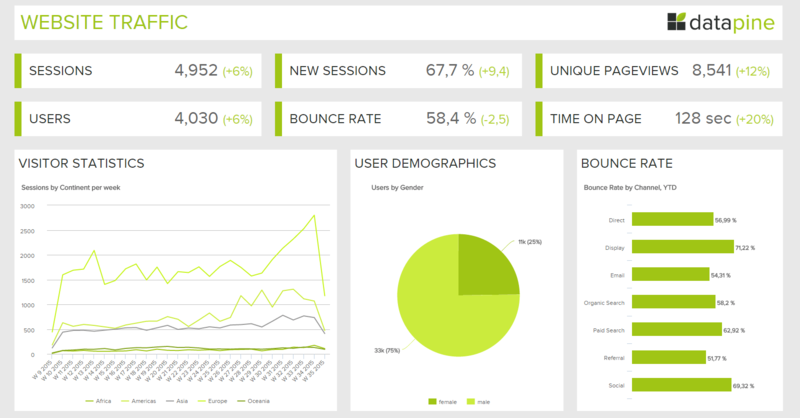 Granted, we’re a little biased when it comes to dashboards. However, we feel confident that after we introduce some of the ways that they can make your life better, you’ll fall in love with them as well. And while some say that love is complicated, in the context of data, we’d argue the opposite. Legacy spreadsheet software complicates your life. And let’s be honest – in today’s increasing fast paced (and downright crazy) world, who needs more complications? You can create interactive dashboards built with charts reflecting many different data sources. These data sources can range from SQL databases, to CSV files, to Facebook or Google Analytics. So, instead of having to manually create presentations in a different way with each data source, you can have one corporate dashboard with data from different data centers across the world. Instead of static, hard to use spreadsheets, a dashboard software lets you connect right to your customer’s real-time data (including social data and web analytics). These charts update in real-time, allowing you to do off the cuff, accurate presentations at any time. Imagine how impressive this ability will be when a prospect asks in person how you’ve been helping out your current customers. Talk is cheap – but data shows that your company walks the walk. It’s one thing to say “well, because of our ad agency, our client increased email signups 23% this quarter over last”. It’s quite another to literally show them the email list sizes and growth rates in a dynamic dashboard. Humans are visual creatures. Never underestimate the power of a pretty (and accurate) dashboard when it comes to closing deals and cashing checks for your company. Have you ever seen the TV commercial for lump sum cash settlements where the ad man exclaims, “It’s your money, use it when you need it!”. Just like J.G. Wentworth, we want you to know – it’s your data, and you can use it when (and how) you need it! Our dashboard creator allows you to visualize your data according to your needs and taste. We believe that a corporate dashboard is a must for consumers used to processing visual information and making decisions at a glance. You can theme and brand them with the right logos and colors, so that the look and feel matches your brand personality like in the corporate dashboard example below. If there’s a chart missing, no problemo – with the drag-and-drop interface you can add visual data to your dashboard immediately. Coming back to our anvil example, this “on the fly” customization would have won over the Important International Client staff with real time visual answers to all of their pressing questions. With the different permission systems, you can easily enforce who will have access to your dashboard and how many people will be allowed to build them, for a better data security. Compare this to either giving everyone as much access as they’d like with an Excel sheet or data set, or having junior staff contact IT every time they want a data related question answered. Also, this way you can invite users to answer their own questions by choosing which metrics they want to track. So far, we’ve focused on how a dashboard can make things simpler and easier. Our intuitive drag-and-drop interface generates and performs automatically an optimized SQL code, that lets you create meaningful charts and graphs in real-time. However, if you have strong SQL skills, you can also use our software as an engine for more powerful insights as well. Our online SQL editor has an advanced SQL query box that allows you to enter code manually for a higher flexibility when it comes to building a query. You can perform cross-database queries and visualize the results immediately. Plus, our self-service analytics tool accepts a wide range of inputs. We support MySQL, Oracle, PostgreSQL, SQL Server to AWS, and many more. You’ll be able to run cross-database queries and merge your results easily. One of our central credos is that what gets tracked, gets improved upon. And when you make KPIs easy to track and view by all the members of your team, you make it much easier for your team to improve in measurable ways. For example, each sales rep can view the overall sales dashboards and directly see how their performance ties into the bigger picture. They can view a “leaderboard” showing who’s been driving the most revenue, and get fired up by the competition. Daily and weekly sales reports can also serve as powerful feedback mechanisms to help managers pilot the sales department. Additionally, marketing professionals can quickly see how their current campaigns are performing compared to their past ones. This allows them to iterate the campaign if it’s sub par or keep investing money in it if the campaign is a winner. With many legacy ways of presenting data, you only have access if you’re on a specific computer that’s on the company premises. Want to look over KPIs from your cell phone? Good luck with that. 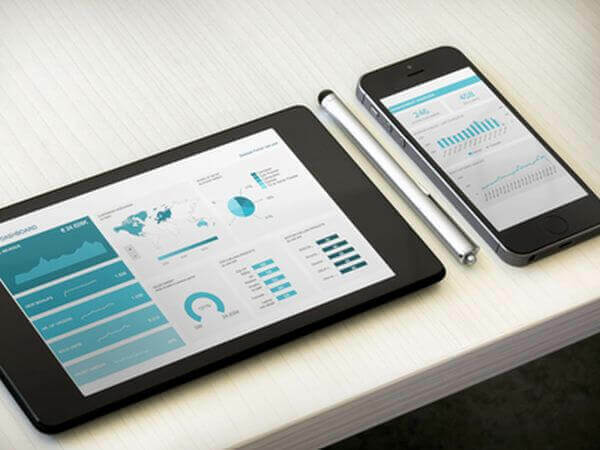 Want to show a client your latest sales figures on your tablet? Sorry buddy. However, all of your dashboards are browser-based, meaning that you can access them from your smartphone, tablet, netbook, laptop, or PC – you name it. Data analysis software facilitate the work not only of marketing professionals, but of any entrepreneur who needs to report and visualize big sets of data. Whether you’re in operations and responsible for reporting on your supply chain, or you’re a CEO raising a round with investors, sharing meaningful corporate dashboards is a priority for delivering a successful performance. Thanks to a cloud-based technology, you can access them anywhere, and can then choose to spend some “high level thinking” time away from the office, at a cafe or a park bench (with nature to inspire and calm your mind). Communicating data shouldn’t be a tedious and painful experience. We now live in a new era where gathering, displaying, and sharing your data can be easy, and interactive. Sign up for a free trial here to design a clear and visually pleasant corporate dashboard on your own!